The idea is simple: Make a 'K'. This concept came about as a fun, memorable way to engage with both visitors and locals. 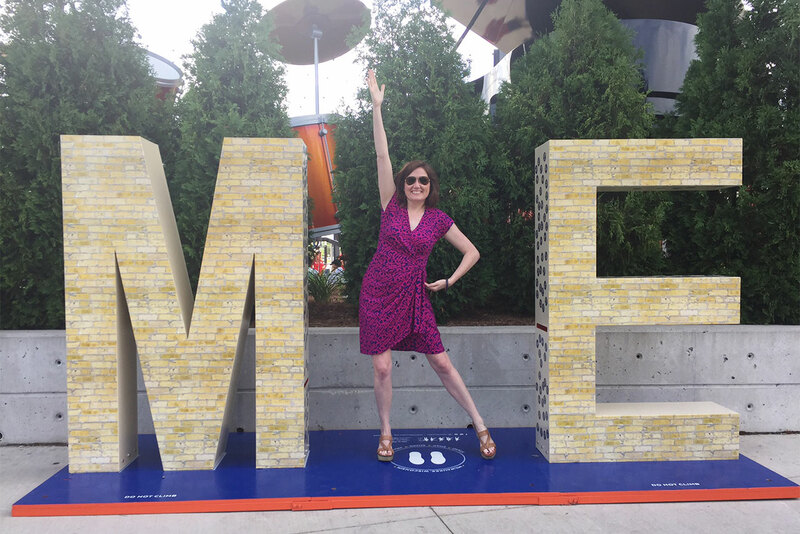 "Me in MKE" provides a fun photo op, with specific characteristics to keep it unique to Milwaukee to differentiate it from similar interactive installations. The platform itself not only keeps the structure sturdy, but displays several poses to make a K with one or multiple people. Accessibility is an important factor for me, so the platform also suggests a sign language 'K', which closely resembles a peace sign. 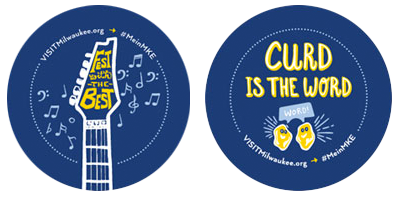 "Me in MKE" has several meanings: The visitor is both “in” the city of Milwaukee and “in” our oversized acronym. 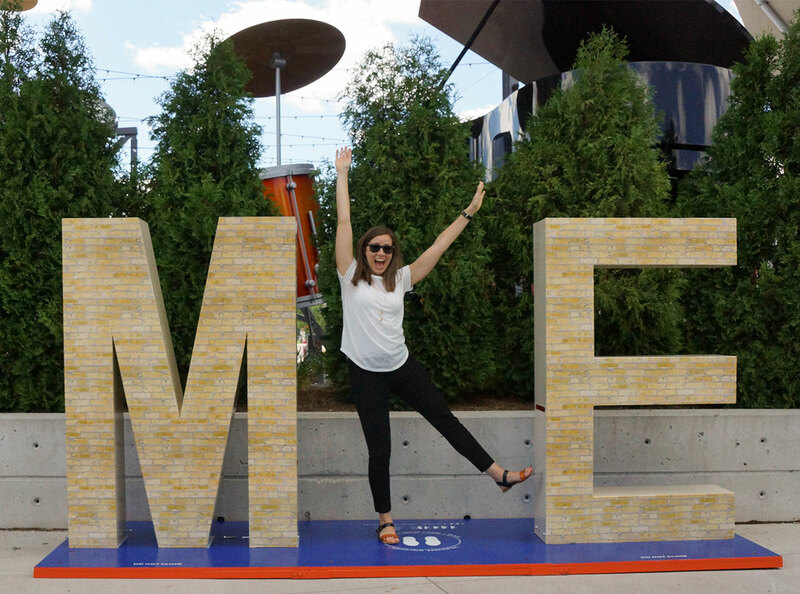 In addition to the literal meaning, the hashtag #MeinMKE also translates to "My MKE" in German, calling back to Milwaukee's strong German heritage. The brick texture might look familiar; it's a nod to Milwaukee's famous cream city brick. Introduced at Summerfest, the project took off, with lines of visitors eager to take a photo. 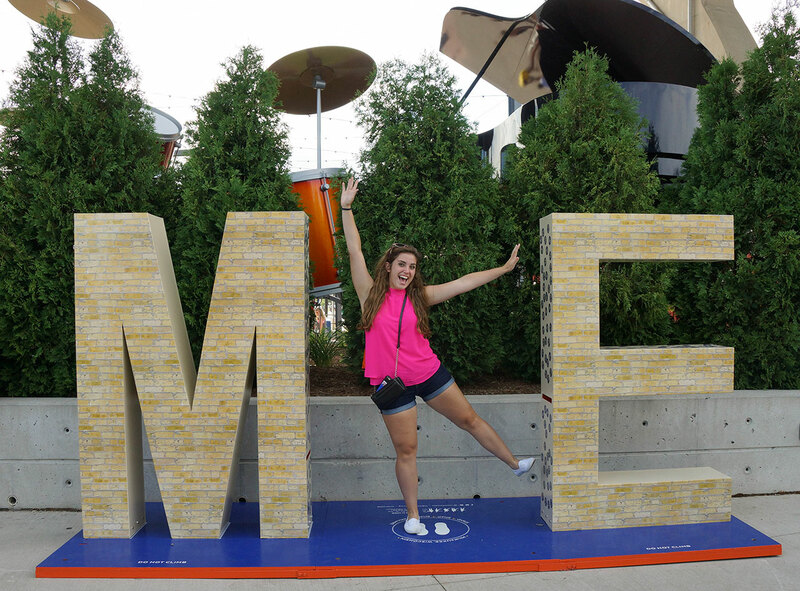 "Me in MKE" is scheduled to appear at every major festival this summer, as well as Miller Park, and will spend the winter installed at General Mitchell Airport to introduce visitors to Milwaukee. Beyond a photo op, I wanted the visitor to have an additional surprise. As a solution, our team decided to utilize the magnetic properties of the installation by producing over 1000 magnets that attached to the back and sides of the letters. This provided a tangible takeaway in addition to a shareable moment.